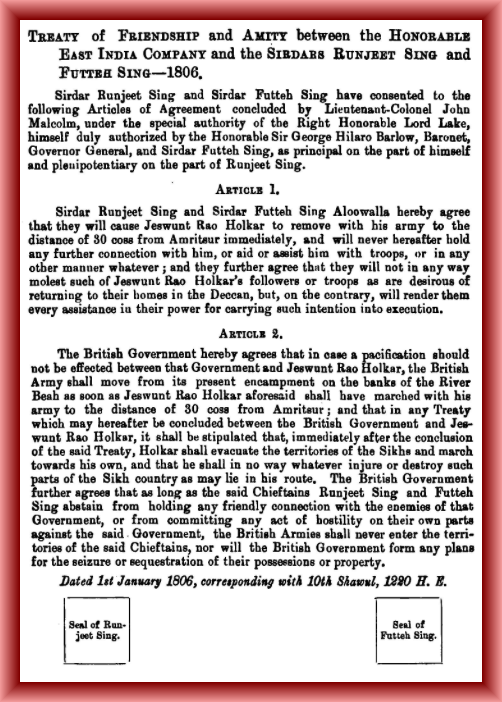 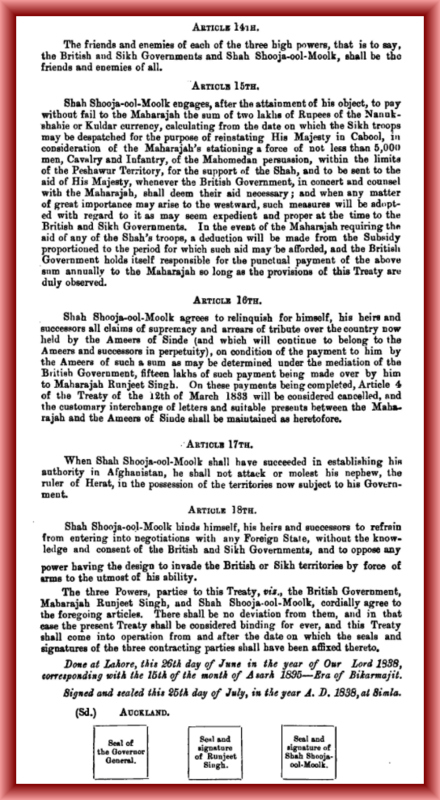 The SMI is pleased to announce the Anglo-Sikh Treaties Project. 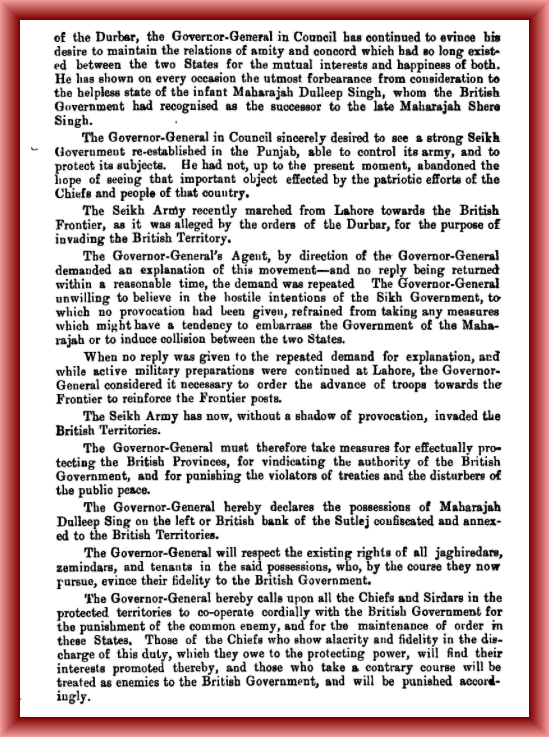 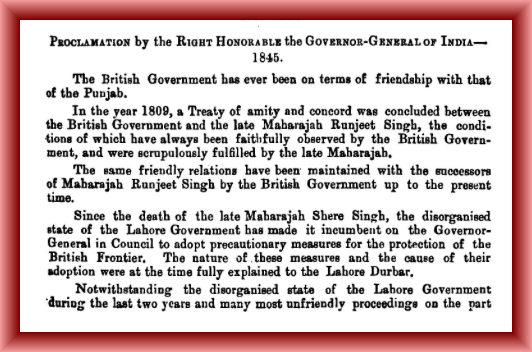 The team have collated the different treaties that were initiated between the Sikhs and the British from 1806 to the annexation of the Panjab in 1849. 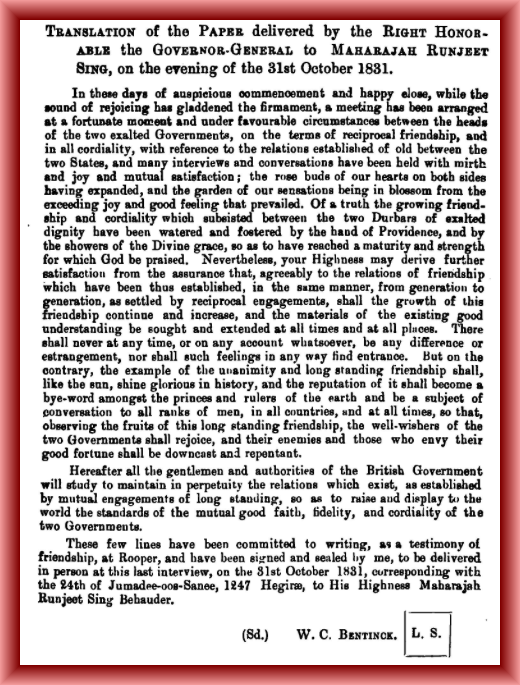 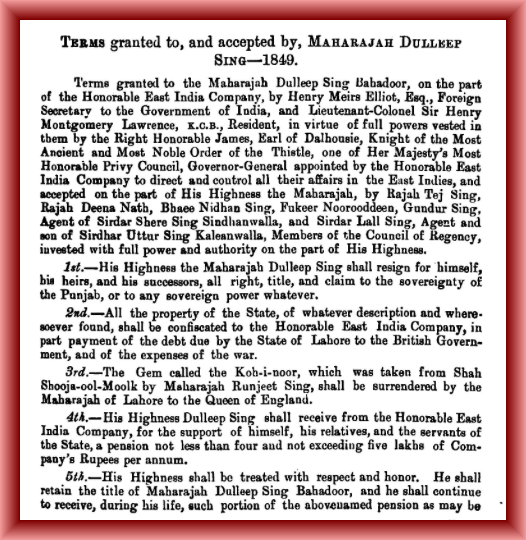 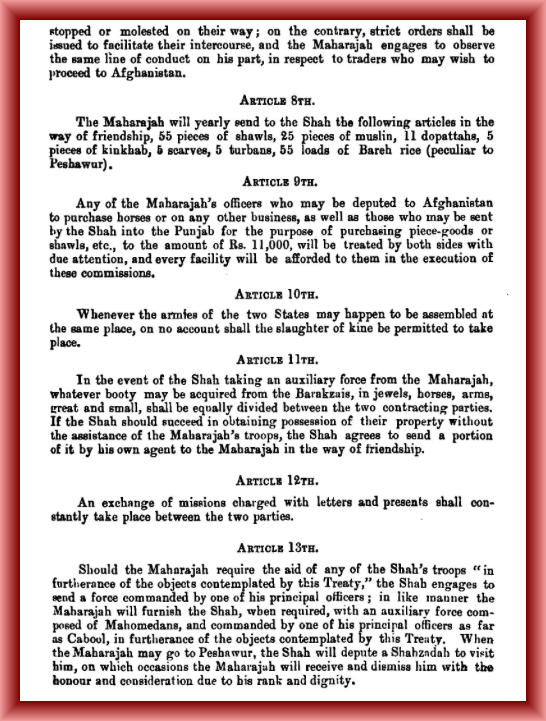 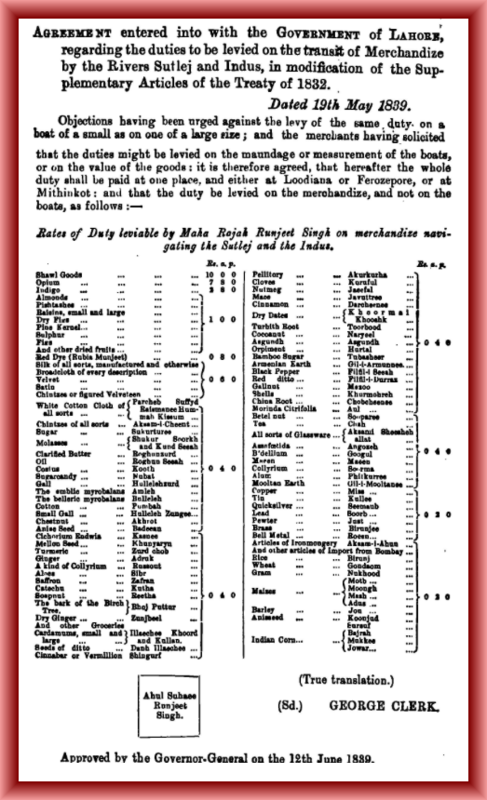 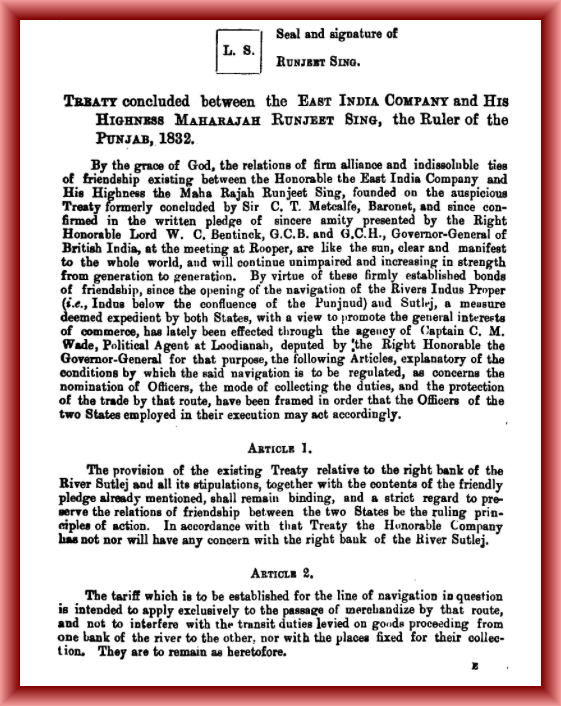 These treaties provide valuable information on the relations between the empire of Maharaja Ranjit Singh and the British. 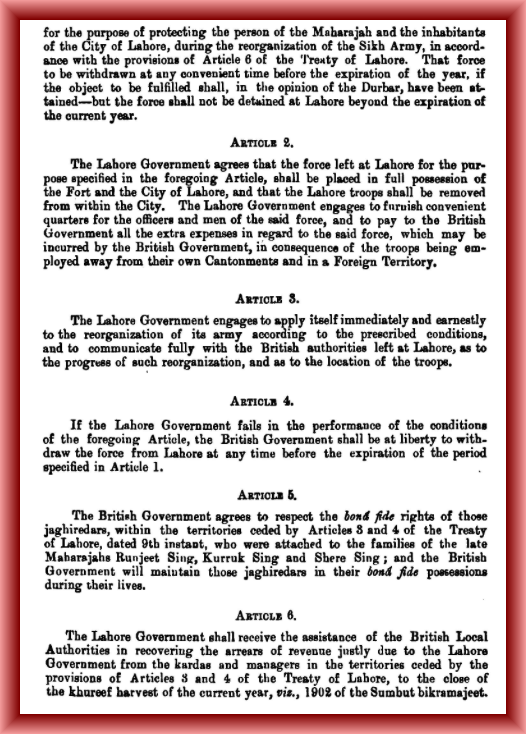 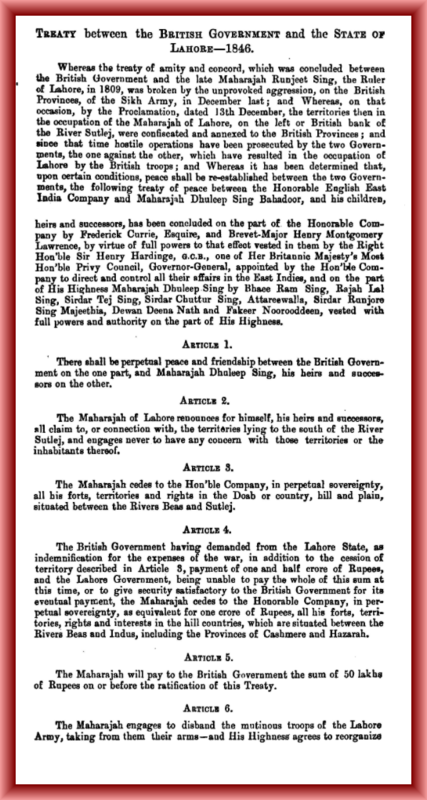 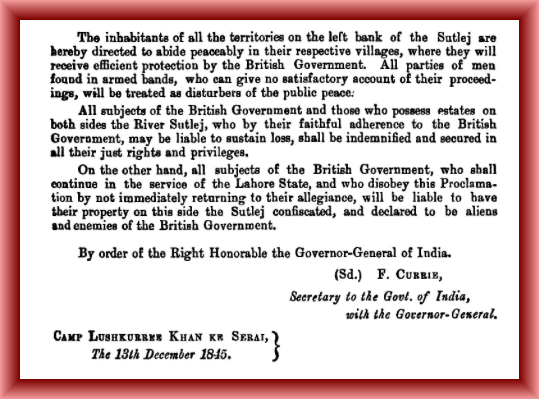 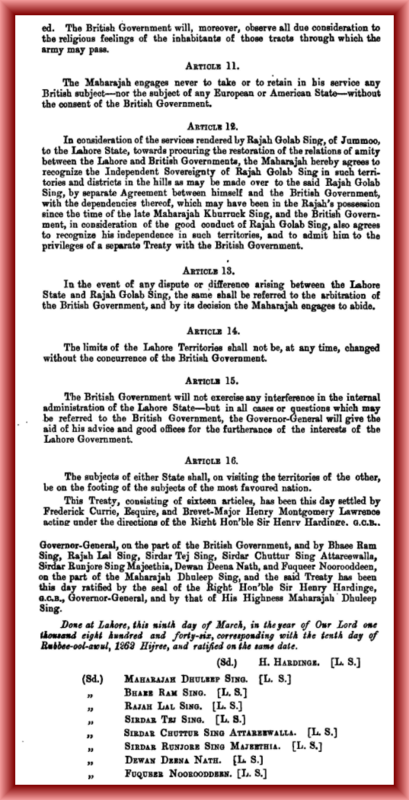 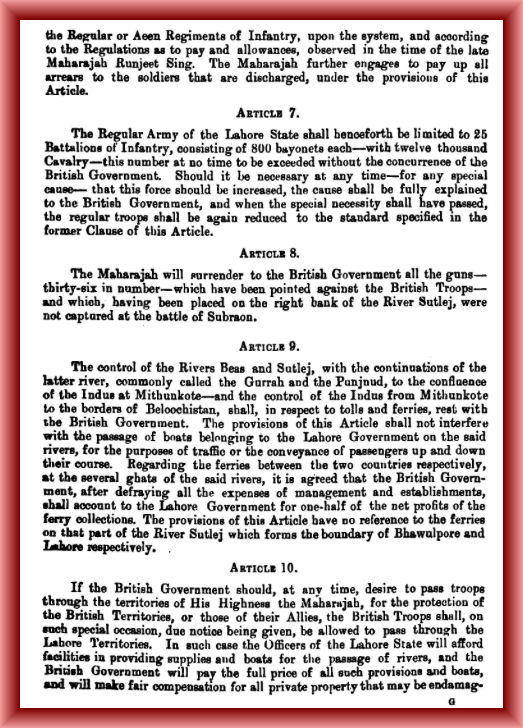 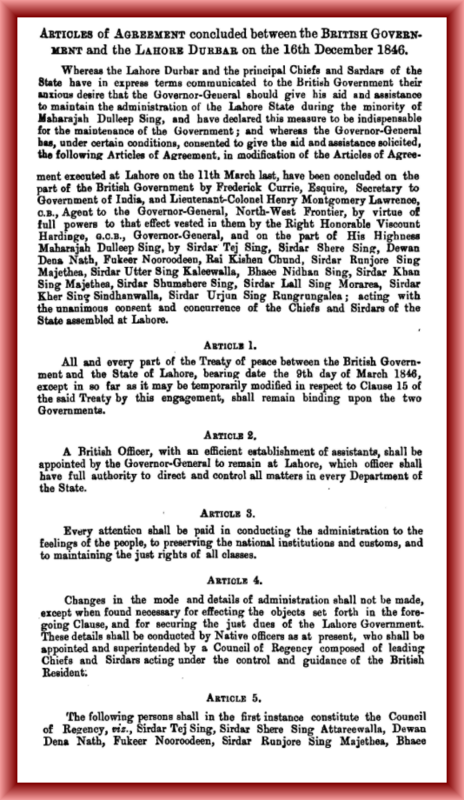 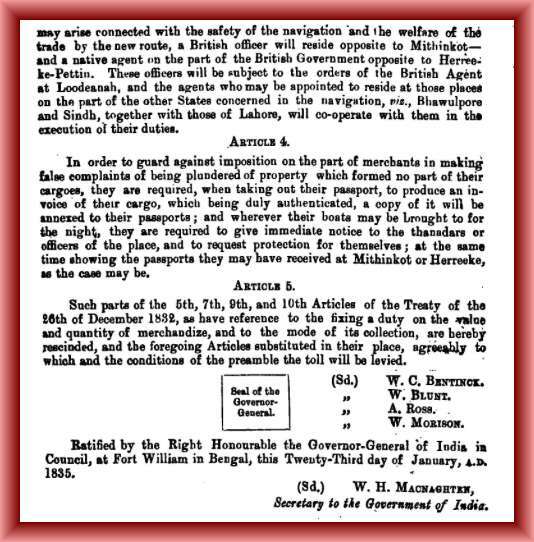 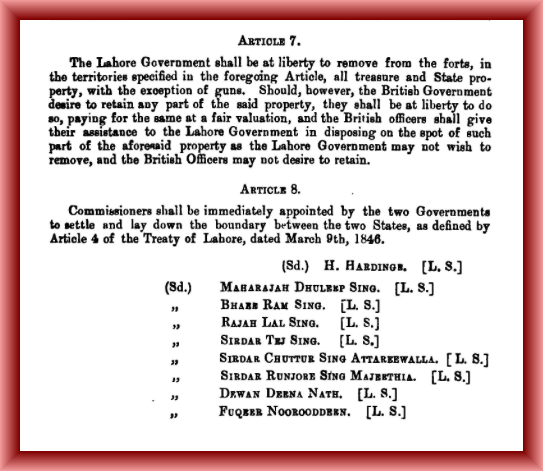 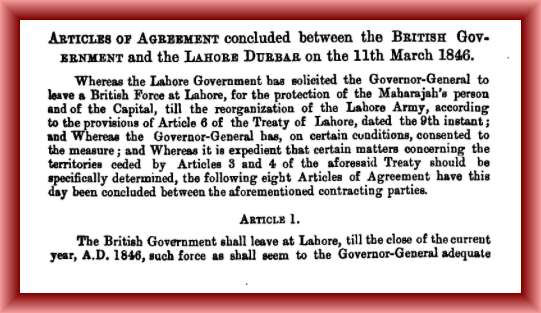 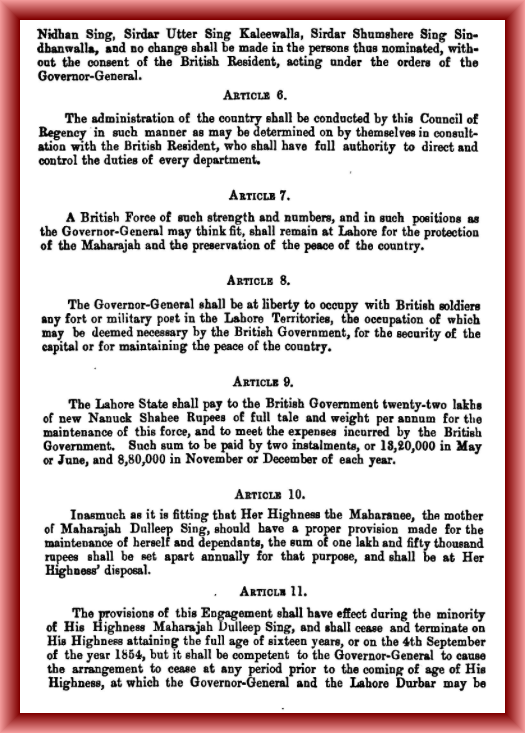 After the death of Ranjit Singh in 1836 the Lahore Durbar enacted further treaties. 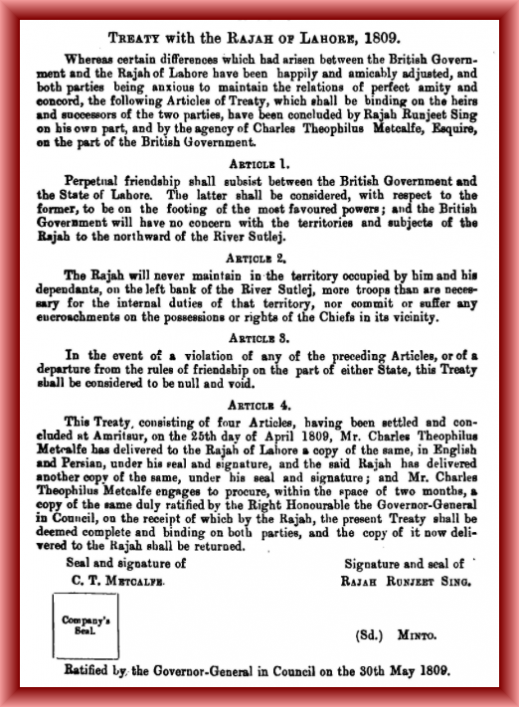 Read our press release which gives the background to these Treaties. 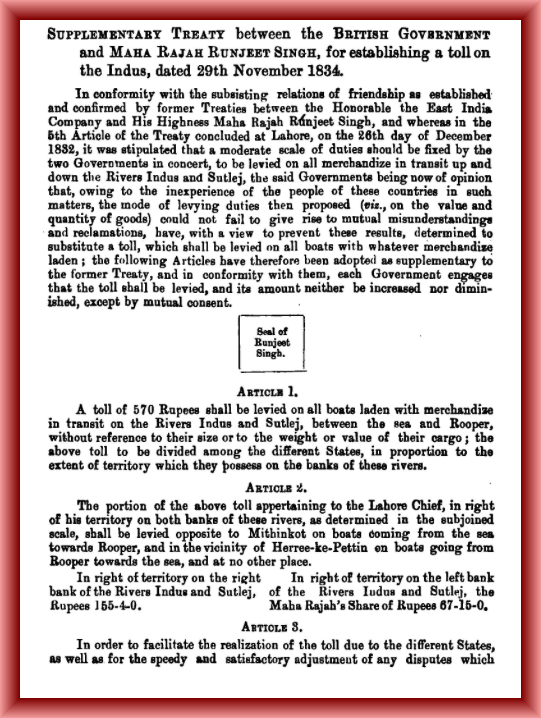 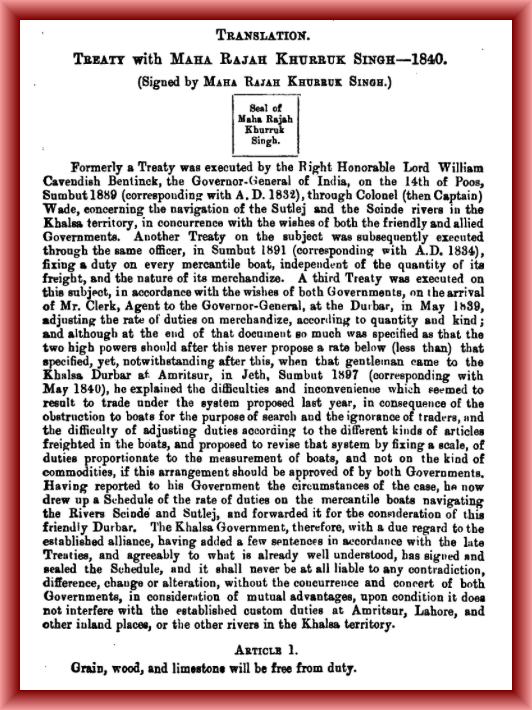 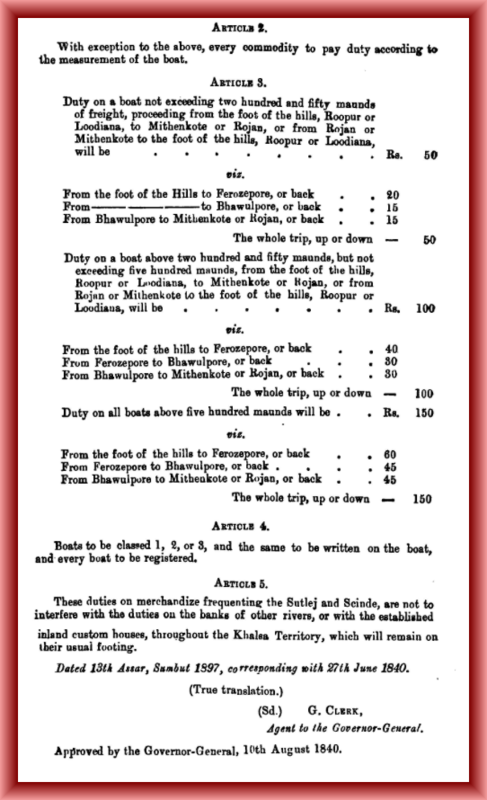 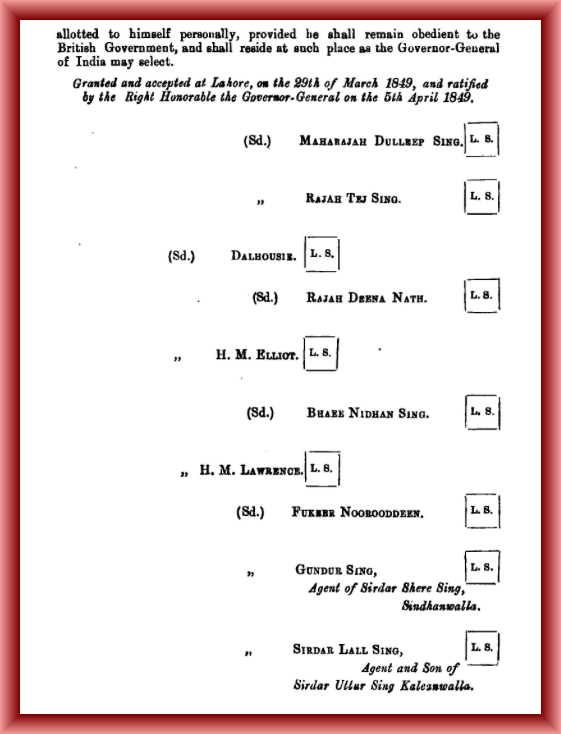 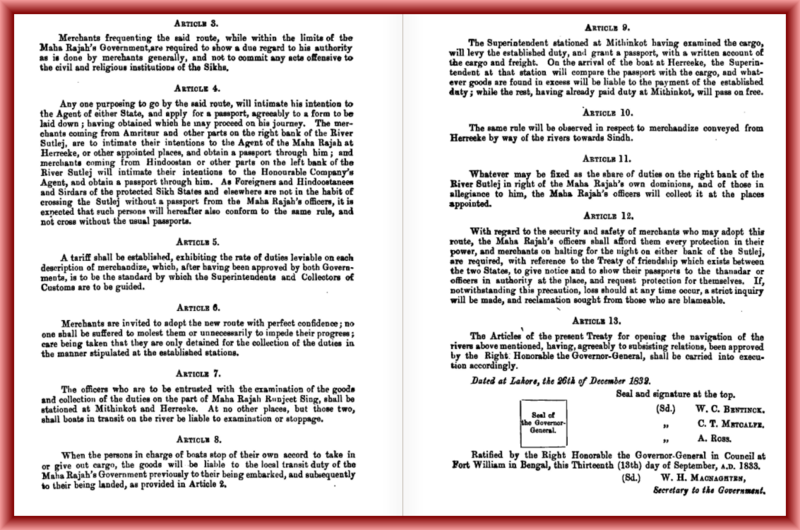 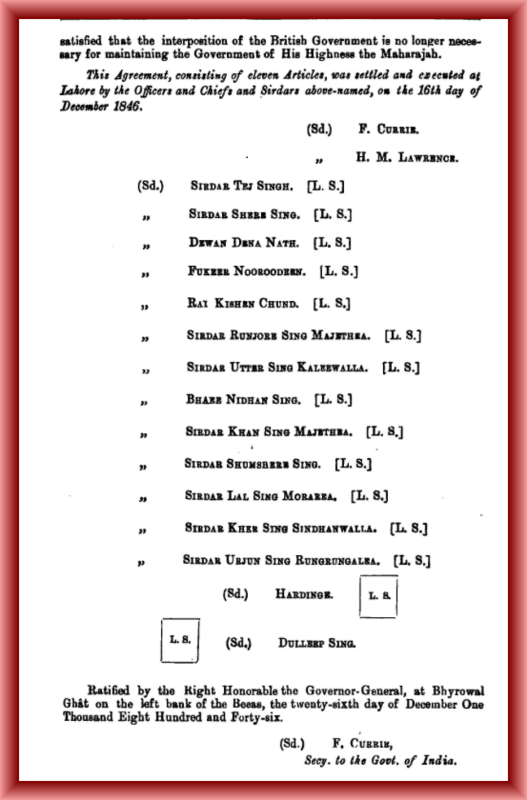 Click on the images to see the Treaties from 1806 to 1846.